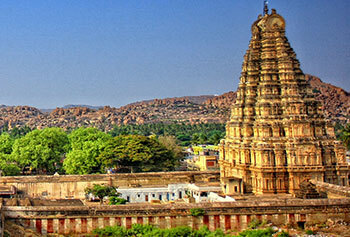 Located in southern India, the state of Karnataka is a great potpourri of cultures, landscapes, flavours and beauty. The state's diverse land features comprise of beaches, mountains, valleys and farmlands. Though Karnataka's coastline is not as long as that of Goa or Kerala, it does offer a couple of really beautiful beaches of which Gokarna, Kaup, Karwar and Malpe are very popular. Bangalore, the centre of India's high-tech industry, is the capital city of Karnataka. Other major cities in the state include Mysore, Mangalore, Hubli, Belgaum, Bellary, Shimoga, Hassan and Udupi. This is the state where you'll see such popular tourist attractions as the Mysore Palace (Mysore), the Jog Falls (Shimoga), the ruins of Vijayanagara Empire (Hampi), the former capital of Hoysala Dynasty (Belur) and the Bandipur National Park. The state of Karnataka presents a heady mix of the modern and the ancient. Apart from sightseeing and exploring the wide range of attractions that the state has to offer, you can also enjoy scuba diving and trekking during your tour. Which is more, you will also have the opportunity to gorge on the very famous Idli (prepared by steaming batter) and Dosa (a type of pancake with masala). 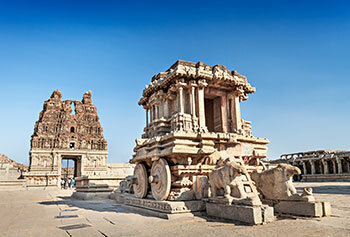 At Max Holidays, we have crafted a number of Karnataka tour packages so that you don't have to waste your time looking for places where you should go, activities you should indulge in and hotels where you should stay. Each of these tour packages has been designed keeping in mind the requirements of the modern-day traveller, their tastes and budget. Depending on how many days you have in hand and what your budget is, you can choose a suitable package from the list. If you think you want something more in a tour or want to take something out of it, our travel consultants are always at your service to help you and customize a tour exactly as you want. 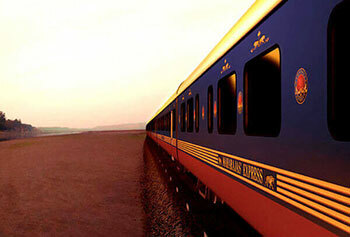 Max Holidays ensures that you have an enriching travel experience while in Karnataka. 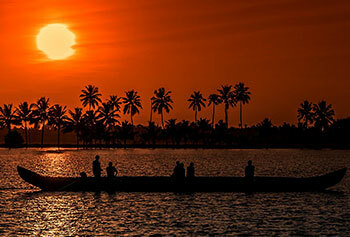 "My overall experience of visiting South India was beyond anything. I have no words to describe the beauty, it seemed as heaven. We couldn’t stop ourselves from taking pictures. The entire journey starting from Bangalore till departure from Cochin, everything was at its place. The food was delicious; Max Team did its best to make the journey perfect." "The tour program was customised with whatever we wanted. The accommodation, driver, tour guide, food, sightseeing places, everything was awesome. Driver was quite friendly and took us to some offbeat destinations as well, so that we can have an experience as a local. Tour guide was very informative. An awesome Blossom trip!" "It was one of the best trips I have ever been. All the services were well taken care, I enjoyed the trip thoroughly. I found Mysore quiet an interesting place to be. The tour program was completely made as per my preference. The hotels were upto the standard. I highly recommend Max Holidays to everyone!"